Riding a bike can be great exercise, but unless you have access to a velodrome, when the weather turns bad, training is interrupted. 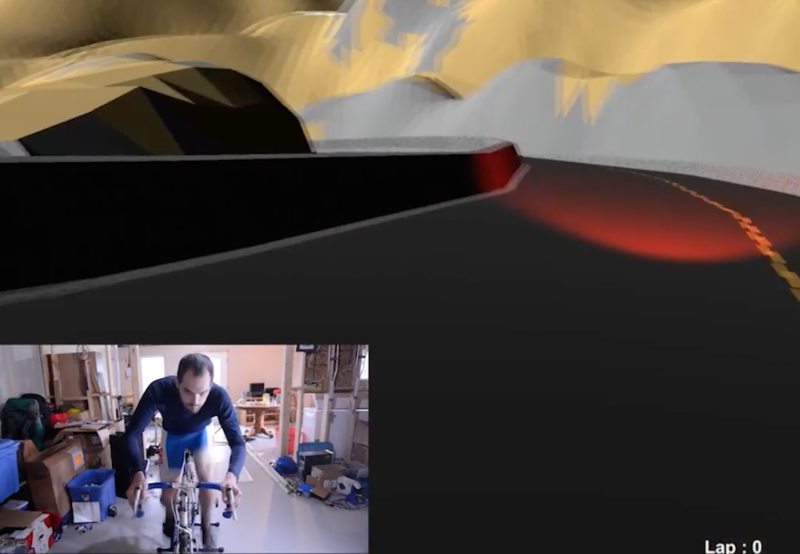 There are of course training wheel setups that you can use to simulate riding indoors, but without the stimulus of actually moving, things can get boring rather quickly. The Infinity Bike by Alexandre Doucet and Maxime Boudreau, however, aims to change this as a system of 3D-printable parts and sensors that can be applied to an existing bike/trainer. A Hall effect sensor is used to measure rotations per minute, while a potentiometer mounted to the handlebars detects the steering direction. This information is transmitted to a computer and the Unity 3D environment using an Arduino Nano, allowing participants to ride in a pristine virtual environment rain or shine. During the winter seasons, cold days and bad weather, cyclist enthusiasts only have a few options to exercise doing their favorite sport. We were looking for a way to make indoor training with a bike/trainer setup a bit more entertaining but most product available are either costly or just plain boring to use. This is why we started to develop Infinity Bike as an Open Source training video game. Infinity bike reads the speed and direction from your bicycle and offer a level of interactivity that cannot be easily found with bike trainers. 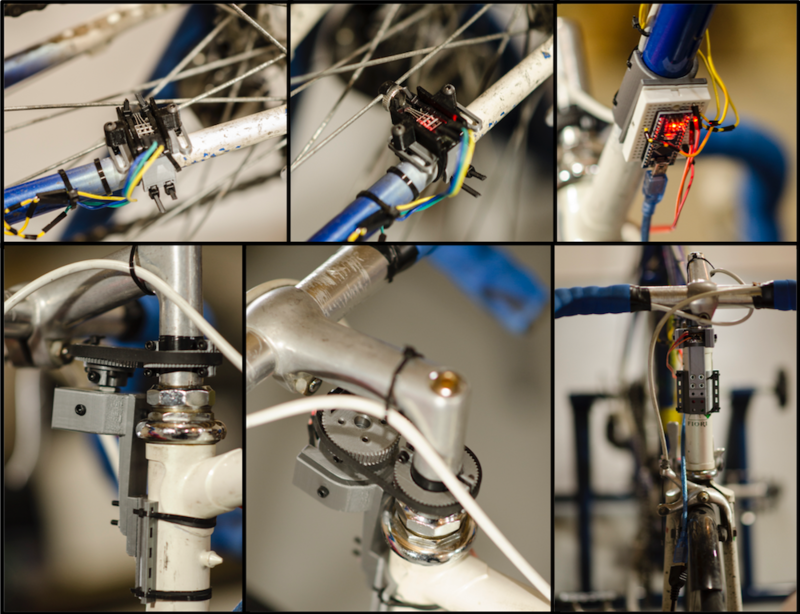 We take advantage of the simplicity available from Arduino microcontroller and a few 3D printed parts to secure inexpensive sensors to a bicycle mounted on a trainer. The information is relayed to a video game made with the popular game making engine, Unity. An overview of the Infinity Bike can be found here, and a preview of the project can be seen in the video below!